SpreadBettingPortal.com > FAQs > Demo account spread betting? Spread betting demo accounts can be a very useful learning tool for investors just starting out particularly if they are new to this form of trading. 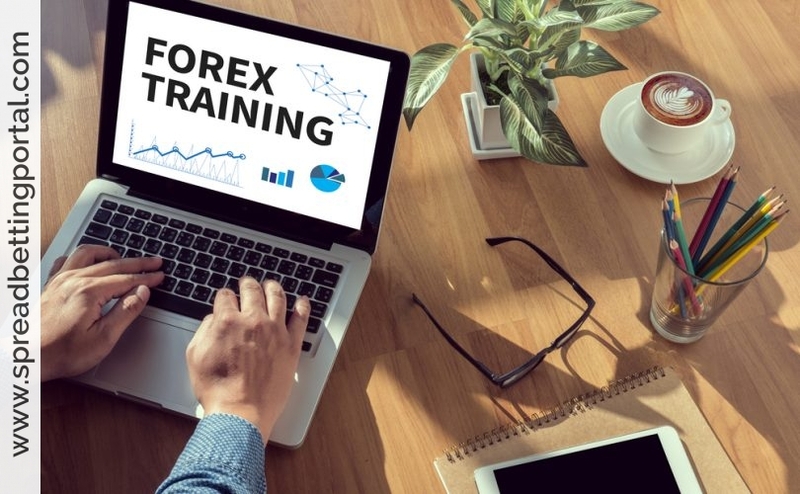 Demo accounts are offered by most providers as a way to learn spread trading with practice trades and estimate profits, without actually depositing money. A spread trading demo account is comparable to a fully-functional trading account, only the transactions and profits are virtual and help investors get a feel of live market. In fact Demo Accounts work exactly like the live accounts other than you will be trading with Demo Dollars rather than real money. A demo account or practice account may not directly earn you any money but can be useful to test out different spread betting markets or systems or even risk management strategies with pretend money. At Capital Spreads for instance, holders of a practice account receive £10,000 of play money that can be used to replicate trading without risking any real money. If you’ve got itchy paws like me and you want to trade, but you’re not 100% certain of the sense of your decision, you can run the trade on the simulator and see what happens without losing a penny of real money. And if it’s running well and you can see a picture unfolding, you’re in a really good position to commit some real cash. You can also test out the effect of different stake sizes. For example it was an exploratory long position on one demo platform on Rightmove from 130p that gave me the confidence to get in there with real money at 150p – even with all the carnage, that’s sitting above 220p now so it’s been an excellent trade. “Traders who try to learn the ropes by immediately placing their capital at risk are like rock climbers who try to learn by immediately tackling the highest mountains. As I stress in my performance book, there is no “minor leagues” of trading; no exchanges where everyone participating is either inexperienced or an idiot. From day one, traders always trade against pros. For that reason, traders begin by learning about how markets operate, how they move, why they move, and how traders read their movements”. Also on the demo platform I’ve had sufficient cash to work with wider margins. A repeated mistake I’ve made since I began trading is working with too small a bankroll. I have lost count of the number of times I’ve been chucked out of perfectly sensible strategies because I’ve not left enough space between the entry point and my stop loss. It’s one of the reasons that I’m trying to simplify my approach and run fewer trades at once. I have this knack of getting overexcited and trashing perfectly good positions by adding too much risk. The demo platform can show you how much cash you need to make a trade work. This is a fine art and it’s not always wise to leave wide stops, especially in volatile markets like the ones we’re living through at the moment. As an overenthusiastic amateur, I’ve dabbled in lots of different markets. This isn’t the way anyone except the most experienced market professionals should trade. One of the things that has given me the (misplaced?) confidence to do this is running a whole heap of demo trades and trying out ideas on the different simulator platforms that are out there. As well as the Capital Spreads simulator, I’ve got demo accounts with others – I’ve amassed a £12m forex fortune on one in virtual money from a £100,000 start – if only I’d managed that in real life! While this sounds like a workable idea, most investors are loath to the idea of actually putting in the time and effort into creating a trading strategy, only to find that there is no monetary reward at the end of it. However, it helps to know that practicing with a demo account means that you don’t get penalised for errors in judgement since there is no capital at stake. The prime benefit of a demo account is the comfort level that traders can establish with a real-time trading interface. By analysing market movements and taking into account commissions and other costs, you can now estimate potential profits and help refine your trading style and strategy minus the risk. 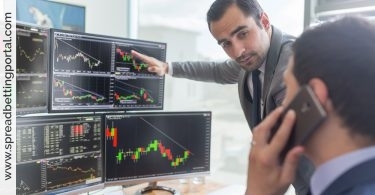 When first starting out with trading, speculators may have to rely on their judgement in every little aspect of trading, from choosing the right broker to learning how the market risk factors interplay to create the price fluctuations in the industry. A demo account can help traders assess market movements more objectively because the stakes are not so high. This means tradesr can really improve their trading knowledge and put it to use without worrying about the risk factors. This may not always be possible in the real trading arena simply because traders may sometimes have to go by market analysis rather than rely on instinct, possibly skipping some lucrative opportunities in the process. Given that trading losses are particularly high when dealing with leveraged instruments, demo accounts can be a boon helping investors to tweak their technical know-how without the high stakes of trading in the live market. A great way to leverage on the learning potential of demo accounts is to open several virtual demo accounts with different brokers. This way traders can better evaluate the pros and cons of each broker’s service and make a more informed choice when choosing the actual broker with work. Having said that one word about paper trading. Until you get the actual gut wrenching feel of real trading dummy accounts are pointless…when I say pointless they are good to get a feel for whether a system should work in theory but the key to making money long term is to find a system/method that fits your personality and once you’ve found it to stick to it. One of my regrets is that after doing well for the first ten years decided i could do even better then pissed around for a number of years trying day trading, longer term trading etc before a few years ago basically going back to similar stuff was doing back then, and hey presto it works again…Real money triggers fear, greedy even with small amounts like a £1pp on a spread. As such while demo accounts are a great way to practise trading, it is still important to trade as if real risks exist in order to actually see any benefits. That said, traders will do well to well to use their experiences trading with virtual currency only as an indicator of actual market scenarios and not as a guarantee to success.